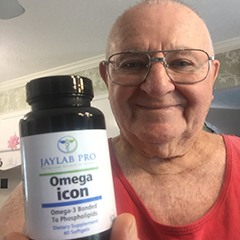 After taking over-the-counter supposedly really good probiotics I finally switched to Jaylab Pro Probiotics and felt much better after the first day. No more feeling of pressure and bloating after every meal. What a relief! How eating termites, a common practice in prehistotic times, provided the cavemen and women a unique class of probiotics that you are lacking today and why this could explain the sudden rise in obesity, heart disease, and dementia. You roll out of bed and head to the kitchen where two eggs, over-easy, with a side of avocado are waiting for you. You have a low-carb protein shake for a snack, a paleo-friendly lunch, and a low-carb dinner. Your day was great, until you got home. All this stress hits you like a ton of bricks and that familiar feeling creeps in. You grab a box of tissues…Clorox wipes…and your favorite gummy vitamins, and you crawl into bed. Propped up under a couple pillows, you can’t get your nagging co-workers or your demanding boss out of your mind. 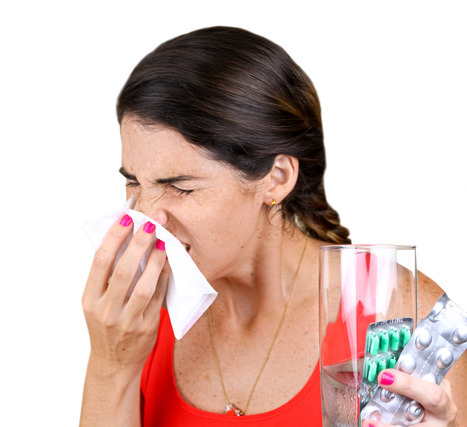 How GLORIOUS It Would Be To Wake Up In The Morning Without a Cold—or A Stuffy or Runny Nose! There is something magical about getting a good night’s sleep, a few vitamin C drops, and your healthy Paleo (caveman-like) breakfast. While you can’t seem to handle a simple cold (man-cold even)! 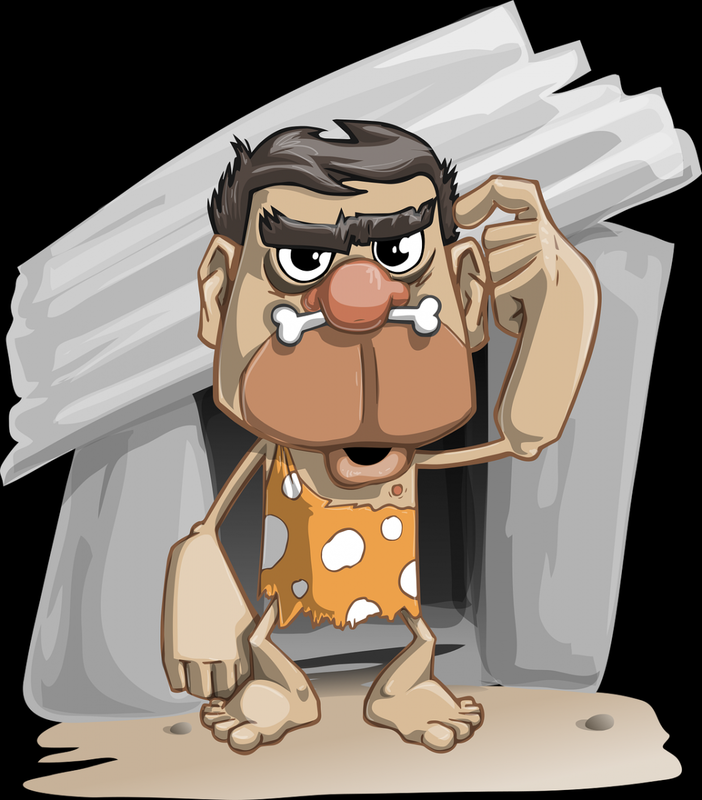 The Caveman’s Diet Was A Lot Different Than Your Today’s Caveman Diet! You’re sipping diet soda...chugging bulletproof coffee…enjoying a few sugar-laden granola bars…and munching on kale chips. To stay healthy--even when your stress is out of your control. You keep choosing foods that are keeping you from being healthy all year long. Your breakfast, lunch, and dinner could prevent a leaner, stronger body. 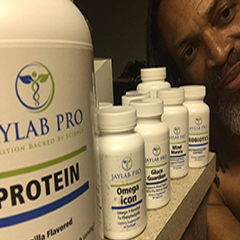 My name is Jayson Hunter and I am the CEO of JayLab Pro Nutrition. For the better part of 18 years, I have helped THOUSANDS of people change their bodies…improve their health…and cut down on their risk for different diseases. I have taken people from severely overweight—to having a lean, trim, and toned body like they did in high school. I have also spent my time researching the reasons why people get sick, are overweight, and suffer from heart disease and diabetes. In recent years, I have focused my research on the emerging field of probiotics. Millions of years ago, when dinosaurs roamed the earth, bacteria were EVERYWHERE. Swimming in the water…falling from the sky…and living on the skin of everything that grew! When man came, they were exposed to these bacteria—at such a high rate--you’d expect them to be dead almost INSTANTLY. But they didn’t die…or even get sick…. They were surprisingly resilient to illness…were able to heal from injuries faster…and childbirth wasn’t nearly as bad as it is today. As it turns out, ancient men (and women) had a powerful secret that we’re simply missing today. They had over 100 TRILLION different bacteria from over 400 different species living inside of them. 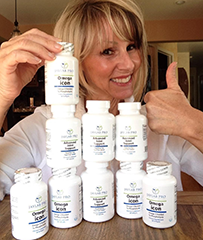 A STRONGER, more POWERFUL immune system. These bacteria were pretty important when it came to keeping the caveman alive and well. 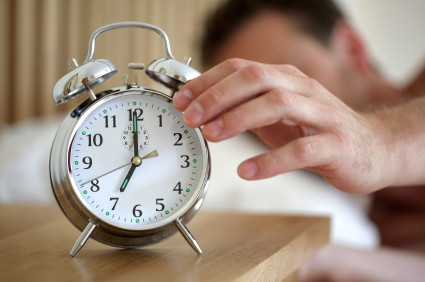 Flash forward to today, and people are constantly getting sick…feel bloated…dealing with IBS and poor digestion…are overweight and depressed…and have issues with blood pressure, cholesterol, and unregulated blood sugar levels. Our gut health is not as strong as our ancestors once were! We don’t have the same diverse gut bacterial population our ancient ancestors once had. The issue is made worse by the foods you eat. Millions of years ago, there was very little to eat—the cavemen and women needed to forage for food. They lived a very basic lifestyle—very little sugar…lots of berries…some protein from animal meat they happened to kill...and lots of complex, fiber-rich carbohydrates—which is something that today’s society is lacking. Cave people even consumed termites—to maintain the balance of bacteria to keep their 100 trillion bacteria alive and healthy. In today’s society, you find people mimicking our ancient ancestors—right down to the berries, nuts, and seeds—except the termites. Today’s “Paleo” Lifestyle Is Nothing Compared To How Our Ancestors Lived and Ate! Our ancestors ate a true Paleo diet—complete with bacteria-laden termites and gut-fermenting carbs to keep the 100 TRILLION bacteria well-fed and happy! 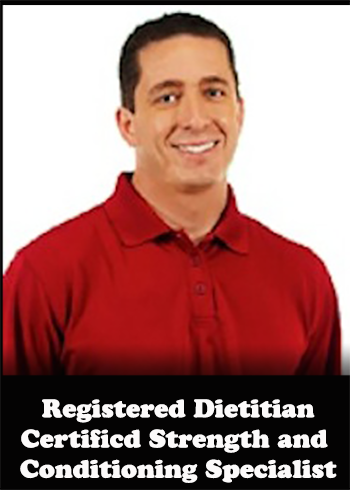 Since the Paleo diet is depleted of carbs, you’re eating a low-carb version of the Atkins diet and not a TRUE Paleolithic diet. It’s not. This is why I have spent a good part of the last 6 years finding out everything I could about probiotics. 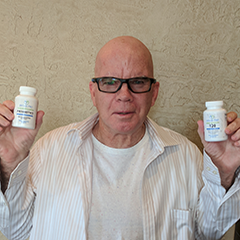 I have been featured on NBC, ABC, and Fox News—showing people just like you, why probiotics are important to your health. Taking a probiotic will not completely change your life—I understand that. But changing your diet…increasing your exercise…and taking your daily probiotic could eventually restore the 80/20 balance of good to bad bacteria in your gut. And that’s exactly what JayLab Pro Probiotics will do for you! Probiotics are helpful bacteria that support GI health and your immune system. You have BILLIONS, if not TRILLIONS, of bacteria currently living inside your gut. 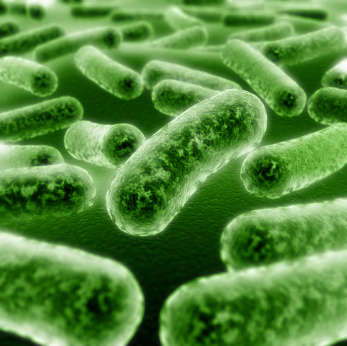 Your Gut Bacteria Outnumber Your Healthy Cells 3 to 1! You need to maintain the balance between good and bad bacteria. There are so many different strains, brands, and products that use probiotics; you may find yourself second guessing what you’re buying. 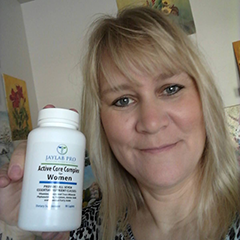 You want a probiotic that works day and night…24 hours a day and 7 days a week. To make matters worse, Consumer Reports found most probiotic supplements only contain 10 to 53 percent of the probiotics listed on the label. Most conventional probiotic supplements only contain 1 BILLION live organisms—which will not help change your body. Plus, most conventional formulas contain DEAD probiotics. Developed in a state-of-the-art fermentation facility right here in the USA. Cultured by the top researchers behind probiotic development to ensure the highest quality ingredients are in each capsule. 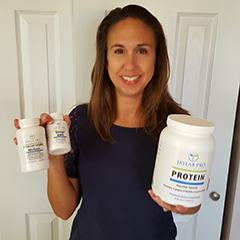 Created with researched-back strains geared at improving immunity, digestion, and supporting your overall gut health. There are thousands of different strains that improve your immune system, digestive, brain, and your heart health. …the balance frequently is disrupted, leaving you vulnerable to dangerous bacteria and toxins. Unlike conventional probiotics, our probiotic formula is grown, fermented, packaged, and delivered to you from right here in the USA. Our team of researchers have hand-selected each strain of probiotics in a state-of-the-art fermentation plant in Wisconsin. Just like when you’re brewing a fine pilsner or craft beer, temperature makes all the difference when fermenting probiotics. The optimal conditions allow for the tiny bacteria to multiply—like a tiny bioreactor full of living bacteria ready for the next step in processing. Too hot? You may get other bacteria crowding your petri dish. Too cold? Bacteria may not grow at all! This state-of-the-art fermenting plant monitors temperature and humidity, 24 hours a day and 7 days a week, so your probiotics multiply, thrive, and grow healthy colonies. The result is a strong…vibrant…fortified strain of bacteria that can stand up to digestive enzymes and stomach acids. Even bile doesn’t impact our probiotic—unlike most conventional probiotic brands. 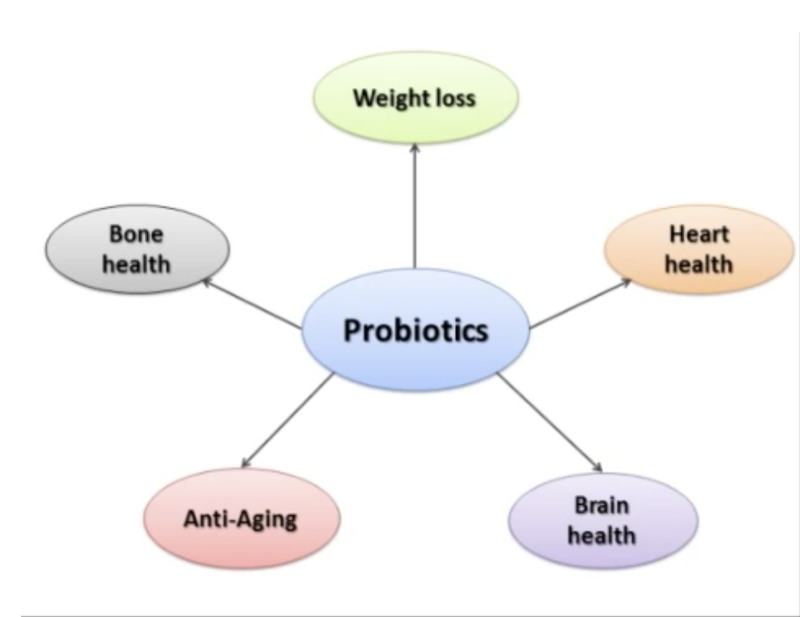 Most conventional probiotics may give you 20 Billion live bacteria per capsule. But those numbers are reduced to 1 billion before it even reaches your intestines—due to the breakdown from stomach acids and bile. We have created a strong, potent, and robust bacteria strain(s) that thrive in even the harshest of climates. Just like beer, our researchers have tested and tweaked their processes through the years, to maintain the highest quality probiotic. After researching probiotics for the better part of 6 years, I have found some really good probiotic manufacturers…and some really nasty ones. The good ones provide genetic strains, viability, and stability testing on all the strains available to you from start to finish. The cheap ones do not. 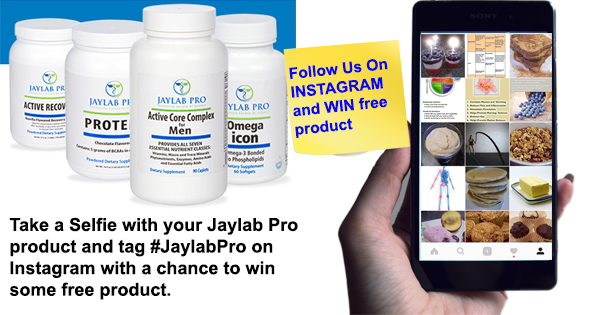 JayLab Pro Probiotics Is Superior To Other Probiotic Brands! Not only does our team of researchers hand-select each probiotic strain, we also ensure that each pill is GLUTEN FREE and GMO free. Most conventional probiotics contain a fraction of the probiotics listed on the label—with most of them being DOA before they hit the shelves. So we took an extra step to ensure you’re getting everything that is listed on the label! Each 30-day supply of JayLab Pro Probiotics is shipped to your door in a dark, amber-colored glass bottle. The dark amber bottle, with an easy-to-screw-off metal cap, prevents gases and moisture from seeping into the bottle. This prevents exposing the probiotics to higher temperatures which could destroy the tiny, living bacteria housed in each capsule. We also added an additional inner and outer seal to add extra protection from light, moisture, and gases so you’re getting the strongest probiotic around. We Carefully Crafted Our Formula By Using The Top Researched-Backed Strains to Form The Strongest Formula Around! We searched high and low for the best probiotic manufacturer who could ensure both quality and viability for our probiotics. We ran into some duds—all due to issues with the supply chain. The product is sitting for hours in a warehouse BEFORE it is even packaged; leaving it exposed to high temperatures that easily destroy the bacteria. That’s precisely what happens with conventional probiotics that come from overseas. With our product coming from Wisconsin, we promise that each bottle is going to have the strongest, most potent probiotic strains to improve your health. As probiotics become more popular and their benefits are seen all around the world, more companies will pop up with less-than-stellar probiotic strains—that won’t work at all. That’s why we took our time researching probiotic companies so we could deliver only the best product to you. Our newest creation is our old formula on steroids. We have taken our old formula and made it even stronger. This version keeps all the good strains in and eliminates the ones that may not balance out your gut health. The end result is a product that is 10X stronger and more effective at improving your health…enhancing your digestion…developing a calmer and happier mood…and accelerating your weight loss—all with just one serving, once a day. Lactobacillus acidophilus – One of the main bacterial strains found in your intestines, this strain may restore balance to your gut population. This strain is commonly used for treating diarrhea, and other stomach/intestinal issues. 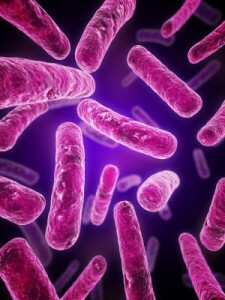 Bifidobacterium lactis – This strain of bacteria is commonly used to replenish “good” bacteria in the gut commonly destroyed by radiation, antibiotics, or chemotherapy. It is also a common treatment for conditions such as ulcerative colitis and many others. Bifidobacterium longum – Welcome to the KING of bacteria! Bifidobacterium longum may elicit the most benefits to your body. Not only does it maintain a normal digestive tract, it fights the growth of bad bacteria, boosts your immune system, lowers cholesterol, and prevents lactose intolerance. Bifidobacterium bifidum – This bacterium is a vigilant fighter in the war against bad bacteria. Its main responsibility is to maintain a healthy gut bacterial population, but it also controls the influx of bad bacteria into your intestines, bolsters your immune system, and aids in the digestive process. We’ve even included a source of fuel for people who follow the Paleo diet or a low-carb lifestyle who may not include starchy carbs that feed their gut bacteria. Fructooligosaccharides – found naturally occurring in many foods, this acts as a fuel source for your gut bacteria, keeping them working overtime – without tiring – to support, improve, and protect your health. These particular strains of probiotics have been featured in numerous clinical research studies, showing their effectiveness for improving your gut and impacting all facets of your health. A 2016 meta-analysis published in the journal Nutrients showed that probiotics are able to reduce depression symptoms in healthy participants and those under 60. Your gut is responsible for almost 95 percent of your serotonin (the happy hormone) production, which is why a healthy gut is vitally important. 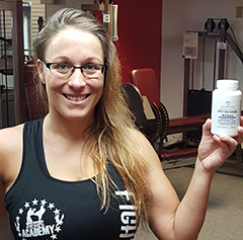 Another study published in The International Journal of Tryptophan Research showed a marked increase in serotonin levels after supplementation with probiotics. But it’s just not all about the brain…it’s about your weight loss as well. In a ground-breaking 2016 study published in the Journal of Nutrition Metabolism, researchers concluded Probiotics could influence appetite and food intake, which could help accelerate your weight loss. 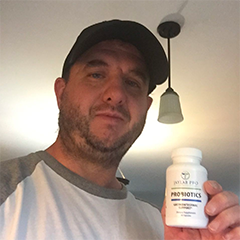 As you can see, world-renowned doctors, researchers, and scientists admit that taking a probiotic supplement may be the most effective way to increase your gut bacterial population AND return a sense of normalcy to your body. You would think that since we have put EVEN more benefits into this amazing product that we would charge a heck of a lot more. Not even close! Because we want to get our powerful new-formula into the hands of so many loyal customers like yourself, we are giving you the opportunity to get your bottle for ONLY $39.95! That’s an amazing 39% off the price that we COULD – and SHOULD - be charging you. 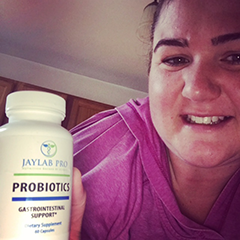 Because we want as many people to try Jaylab Pro Probiotics, we are leaving the price as is to make it as affordable as possible for YOU – and your family and friends – to get their hands on this amazing product. We are also throwing in our ironclad, 60-day money back guarantee! If you don’t think or feel a difference, simply return the unused product and we will refund your money 100%! …but we believe that if you are not satisfied with your order, then our job isn’t complete until you are 100% satisfied! Would you finally like to eat a meal WITHOUT feeling bloated, gassy, or FULL immediately after? Do you want to LOSE the excess belly fat that clings lifelessly to your sides, hips, and thighs? 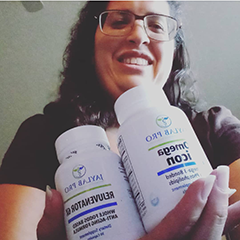 Would you like to take back your health…improve digestion and immunity…and improve your health by switching out the “bad” bacteria with the “good” ones? If you shook your head in agreement, then today is your lucky day! Huang R, Wang K, Hu J. Effect of Probiotics on Depression: A Systematic Review and Meta-Analysis of Randomized Controlled Trials. Nutrients. 2016 Aug;8(6):483. Scheri GC, Fard SN, Schietroma I, Mastrangelo A, Pinacchio C, Giustini N, Serafino S, De Girolamo G, Cavallari EN, Statzu M, Laghi L, Vullo A, Ceccarelli G, Vullo V, d'Ettorre G. Modulation of Tryptophan/Serotonin Pathway by Probiotic Supplementation in Human Immunodeficiency Virus-Positive Patients: Preliminary Results of a New Study Approach. Int J Tryptophan Res. 2017l10:1178646917710688. Kobyliak N, Conte C, Cammarota G, Haley AP, Styriak I, Gaspar L, Fusek J, Rodrigo L, Kruzliak P. Probiotics in prevention and treatment of obesity: a critical review. Nutr Metab (Lond). 2016;13:14.